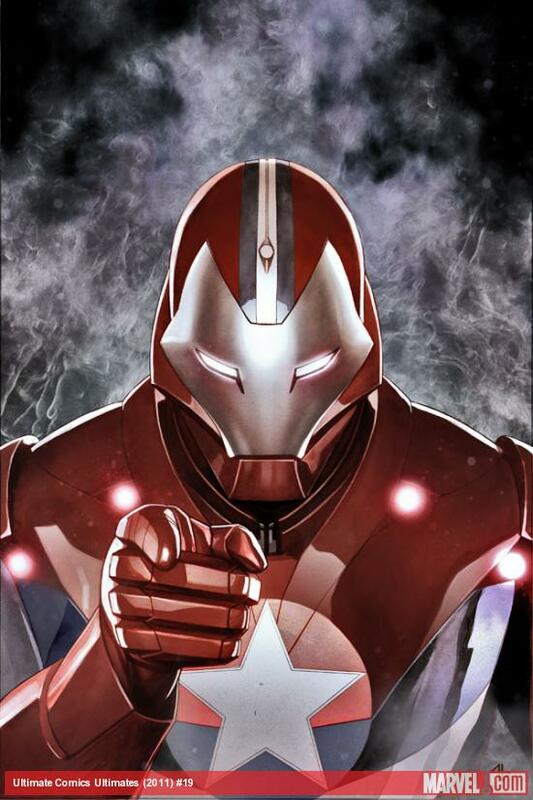 Here comes the Iron Patriot again, but who’s under the mask? Marvel.com has revealed the cover to Ultimate Comics Ultimates #19, which features a familiar star spangled armor. The Iron Patriot is front and center, but who is it? In the regular Marvel Universe, the Iron Patriot is Norman Osborn, better known as the Green Goblin. But I don’t think Normy is behind this suit of armor…any guesses? We will find out in December!